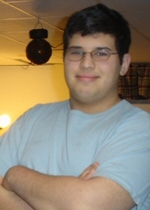 Anthony is an award winning webcaster, and he is the general manager of WRAJ Internet Radio and wrajradio.com, the largest internet radio network in the Long Island market. He was named in his position in January 2003. Anthony was also the founder of the WRAJ Internet Radio group in 2002 at the age of 14, making it the longest running commercial internet radio station in the New York market. With no education in radio broadcasting and computer programming, Anthony became a figure of internet radio broadcasting and podcasting. Over hundreds of other radio stations and thousands of independent artists know his name. Anthony previously host “The Afternoon Show” on Fridays that started in January 2003. The show is the longest-running live internet radio show in the country, and was rated the #1 internet radio show for Long Island. He left “The Afternoon Show” in 2010. Anthony also hosts “AZ Tech Talk,” a technology show that is being syndicated on a variety of radio stations across the world. Anthony graduated at Five Towns College in Dix Hills, New York with a major in communications. During his four years at Five Towns, Anthony was the director of operations for the college radio station, WFTU-AM 1750, which has over 60 programs weekly. A native New Yorker, Anthony resides on Long Island and Pinellas County, Florida.